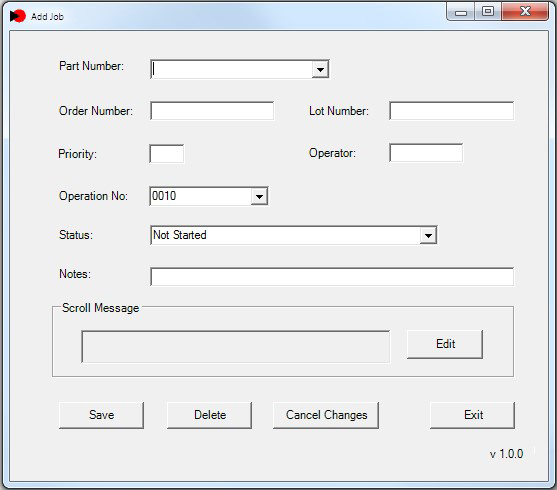 We built a work order tracking and reporting system for an Southern Connecticut manufacturing company. The System integrates into a custom SQL server database. A main entry screen displays the list of jobs and their status, as well as a priority. 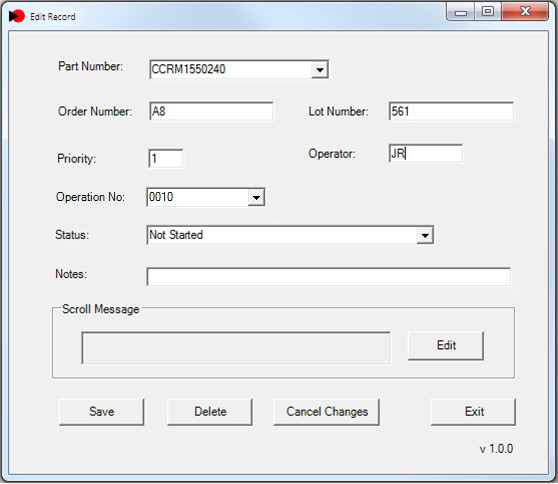 The operator can add a new record and enter information about the part number and what workstation or machine it's running on, as well as a status the record is saved into the database. The user can edit a record by clicking on an item in the grid. 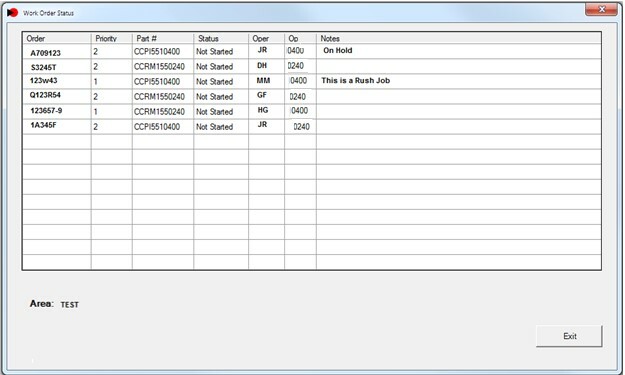 The status can be changed to show its current operation and any notes about the job. When the user clicks display large-screen, the status form is shown on a 46-inch TV at each work center. This screen refreshes every minute and can be viewed from 30 feet away. 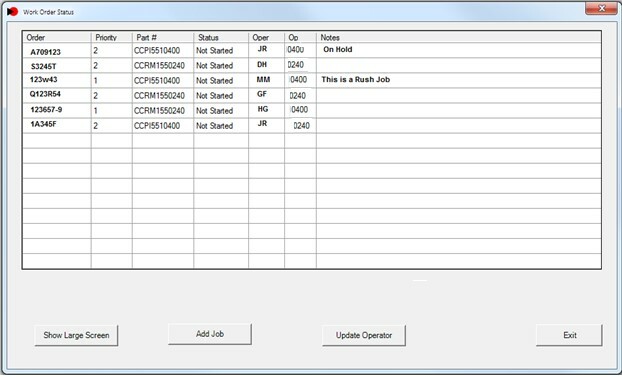 The shipping status section of the program shows a list of all orders to be shipped and their status. The operations are the same as the job status system. The user can add or edit a record and display the shipping status on a large television screen. The system saves time by making it much easier to determine the status of the sales order ready for shipping or a job at a particular work center. Televisions are at each work center throughout the shop floor, and managers have quick access to data.